If you are passionate about a rural career MDH Pty Ltd will fuel your passion. MDH Pty Ltd employs approximately 120 people during the mustering season and offers a wide range of employment opportunities for those interested in working within the beef cattle industry. Our objective is to complete all stages within the paddock to plate process as efficiently and effectively as possible. It is therefore our challenge to attract motivated people to our team, who are passionate about working in the beef industry. In return we provide the opportunity to develop your skills and career whilst enjoying an outdoors lifestyle. Whether you are looking for a long term career path or simply to complete one or two seasons, our positions will give you an insight into the workings of one of Australia's largest beef producing systems. MDH Pty Ltd recognises and rewards the individual contributions of staff members by offering inter-property transfers and internal promotions. With a fleet of R22 helicopters, prefer to train existing stockmen employed with the company into this skilled position, however we also employ pilots when necessary who are experienced in the stockcamp, and have a working knowledge of mustering cattle from the ground. Leading a team of approximately six, when possible the head stockperson is promoted from within an existing stockcamp. When hiring externally, applicants must have experience working in stockcamps, with a wide variety of skills handling both horses and motorbikes, a working knowledge of general station maintenance including fencing and windmill/bore maintenance, and be able to demonstrate leadership. HR license is essential. Positions are available across the company for both experienced and beginner stock people. 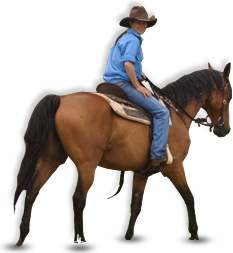 While both horses and motorbikes are used for mustering, recruits must have a minimum level of horse handling skills to gain employment. Cattle handling skills are a definite advantage, although not crucial. Many skills will be learnt on the job, so an enthusiastic attitude is essential. Both male and female accommodation is available, and the stock men and women enjoy a team atmosphere. The majority of recruitment for these positions occurs before the new mustering season begins in late January to early February, although positions do become available throughout the year. Positions are available for Grader and Loader operators. A fleet of modern Cat 12G and 140G graders are used to maintain station road, airstrips and fence lines. The operator must be capable of basic day to day maintenance. The station cook is an integral part of station life and atmosphere. Cooking for around 10 20 people on the station, the station cook prepares a wide variety of meals, desserts, biscuits and cakes, and works closely with both the management of the station and the stockcamp. The cook enjoys private en-suited accommodation. Applicants must have cooking experience, maintain a clean hygienic environment, be punctual and enjoy working in a team environment. The role of governess is one of great importance to any family living in remote conditions and attending the iconic Australian School of the Air. The skill requirement varies greatly from trained teacher to passionate school leaver, the one common thread being a love of children and wanting to work and experience life in an outback schoolroom. The governess follows a well planned schedule provided by the Schools that are situated in the closest large centre, such as Mount Isa and Cairns. The governess is often responsible for the schooling of children in different class levels, for maintaining a clean and interesting environment for learning, encouraging sport outside of the classroom, and sometimes other duties on the station determined by station management, and the skills of the successful applicant. The station gardening position requires a fit and active person with a true interest in gardening. The gardens are expansive, requiring attention with a range of equipment such as ride on and push lawn mowers, whipper snippers, mulchers and blowers. Watering, fertilizing, pruning, potting, planting and sweeping are amongst the many gardening duties involved. The gardener may also be called on to assist in other ways if suitable, such as driving a vehicle to the nearest town. The Bore Runner is responsible for checking and maintaining stock watering points and maintaining fences around the station. Applicants must be self motivated with an ability to work unsupervised. The Mechanic/ Handyman is responsible for the maintenance of all station vehicles, machinery and plant. The Handyman duties will vary from station to station and will be determined by the Station Manager. These positions cover all areas of the feedlot, ideally applicants will possess good livestock and/or machinery and maintenance skills, along with basic computer and record keeping skills. Steam flaking experience is an advantage but not essential. Training and the opportunity for responsibility and further advancement will be provided to the right people.